Arthur Louis Larson, 89, of Clearville, PA passed away on Saturday, November 24, 2018 at Colonial Courtyard, Bedford. He has been a resident of Clearville for five and a half years, spending numerous summers here while living in the Ahwatukee area of Phoenix, Arizona. Arthur leaves behind his wife Janet Louise (Hauke) Larson. They celebrated their thirteenth wedding anniversary on November 12th. He was born in Michigan, a son of the late Carl and Lorene (Draughan). He was first married to Josephine Ann (Kutskill). Together they adopted seven children and nurtured approximately forty foster children. She preceded him in death, along with his brother Robert and a son David. Their surviving children are Karen married to Donald Diehl; Cheryl married to Gregory Cosse’; Paul Larson married to Sara; Tom Larson married to Michelle; Gary Larson; and Lisa married to William Dorman; nine grandchildren and two great grandsons. Arthur gained three daughters when he married Janet: Cynthia married to Garry Pepple; Pamela Shapshak; and Judi married to James Handel; six grandchildren and one great granddaughter. 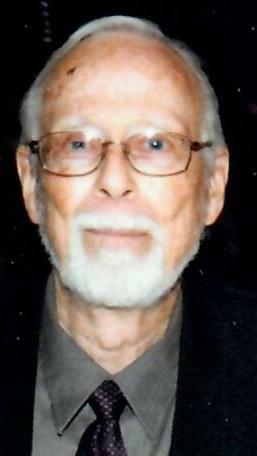 He lived and worked in the Detroit area for General Motors, primarily as a design engineer. His final assignment was at the Arizona Proving Grounds. He also assisted in the development of the Saturn series for General Motors, retiring in 1988. During and after his employment with GM he owned his own business Larson S. Associates working on the perfecting of seats for automobiles. Arthur was involved in numerous volunteer and philanthropic activities in both Michigan and Arizona. He was of the Catholic Faith and his achievement in helping plan and supervise the building of a medical and dental clinic in greater Phoenix for St. Vincent de Paul brought him much pleasure. For many years he served meals and helped pass out food boxes for Paz de Cristo, a mission of St. Timothy’s Catholic Church in Mesa. As members of St. Vincent De Paul group of St. Timothy’s, he and Janet assisted in providing food boxes, utilities and lodging and many other needs. When he moved to Clearville, he attended First Christian Church, Everett. Arthur’s greatest professional achievement was the 1995 presentation of the select and distinguished “Boss” Kettering award for his contribution toward one of GM’s leading innovations. Friends and family will be received on Thursday, November 29, 2018 at the First Christian Church, 57 Providence Street, Everett from 10:30 A.M. until the hour of service at the church. Funeral Service will be held at 11:00 A.M. at the church with Rev. Robert R. Robertson officiating, with Arthur’s son Paul assisting. Burial will be held privately at Schenk's Cemetery, Howard, PA. Gifts in Arthur's memory may be given to Grane Hospice, 106 Zee Plaza North Juniata Street, Hollidaysburg, PA 16648, First Christian Church, 57 Providence Street, Everett, PA 15537 or Paz De Christo, 424 West Broadway Road, Mesa, AZ 85210.